Because we know that the stock market gives the best returns over the long term, we started investing the money of our children (angpaos and other cash gifts received) since they were babies. 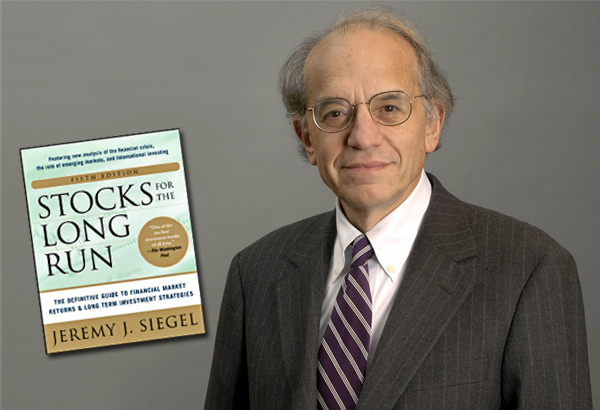 In 1994 Wharton Finance professor Jeremy Siegel wrote his landmark book entitled Stocks for the Long Run. Twenty years after, he came up with an update, which included the financial crisis that shocked the whole world in 2007-2008. The update further confirmed his findings from his study of historical returns of stocks, bonds and gold that date back to as early as the 1800s! This is the reason why we advocate that everyone should have stock investments, because we all have long-term needs that we have to prepare for. Unfortunately, some of us go through our lives not preparing well in advance and before we know it, we hit our retirement age. All parents want the best for their children. To the best of our ability, we’d do everything humanly possible to give them the best future. We safeguard their health, give them the best education, best everything we can afford. We rush them to the doctor at the first sign of fever, something we, their parents, wouldn’t do for ourselves. We enroll them in the best schools during and even after school years to make sure that they get the best opportunities all enrichment courses can offer. When it comes to their money, we’re sometimes way too careful, that we just keep them in their savings accounts. But are we doing them a favor with this? One day, Anton (the same son in the video) who was just in his early grade school years, was discussing with me his “investment strategy” after we had our breakfast. Okay, it was not a formal meeting complete with power point presentation and graphs. It was just a typical mother and young son conversation. You know how it is when your child feels that he stumbled into a discovery and is eager to share it with you. That’s how it was. Let me share our conversation with you. Anton: Ma, I want to put almost all my money in the stock market! Anton: Well, you and Papa always say that the stock market gives the highest earnings in the long run, right? That means if I put more money there, I will earn more money! Mama: Well, yes. But don’t you think it will be too risky for you? Remember Mama showed you how the prices of stocks go up and down, up and down? What if the stock market goes down? You might get sad if the next time you update your Balance Sheet, you will find your total assets go down. Anton: Well, if the value of my stocks go down, my lifestyle will not change. It is when the value of your and Papa’s stocks go down, that my lifestyle will change, right? After hearing his argument, I thought I just heard the best articulation of why parents should invest their children’s angpaos. other cash gifts and earnings in the stock market while they’re still very young. He was right! It was our responsibility to provide for him. It was our lookout to cushion ourselves well against stock market swings. His risk appetite was definitely bigger than ours because of age and other circumstances – i.e. he was still our dependent while we were middle-aged parents taking care of three dependents. So this summer, tick off “Get my kids invested in stocks (whether directly or through funds)” in your to do list, and have them maximize the highest returns in the long run from this asset class! I will give a talk together with Salve Duplito and Doris Dumlao Abadilla entitled Demystifying Media to Chartered Financial Analysts on April 6, 2016 at 6:30 pm at the Milky Way in Makati. I will speak at the Financial Wellness Program of Security Bank on April 27, 2016 at 10 am and 2pm. Marvin Fausto will speak at the FMAP’s Investment 101 for Millennials and their parents also on April 27, 2016. I will speak at Kidzania about Financial Literacy on May 7, 2016 at the Kidzania Parents Lounge at 9:30am. This is open to all interested parents. There is no talk fee, just pay the usual entrance fee (with or without your kid) in the morning and join our conversation.